Mountains and sea are decidedly different landscapes, but you don’t have to choose one over the other. In fact, some of the most wondrous sites are where water and rock meet, impossibly narrow gorges that poke through massive stone walls or lazy rivers that wind through hidden hills. You may be able to see it from above, but there’s nothing quite like floating through the thick of things; no cars mean no traffic jams, so all you’ll hear is the gentle wake of your boat and the wilderness around you. If you’re looking for a peaceful, humbling experience on the water look no further than these mountain waterways that beg for exploration. 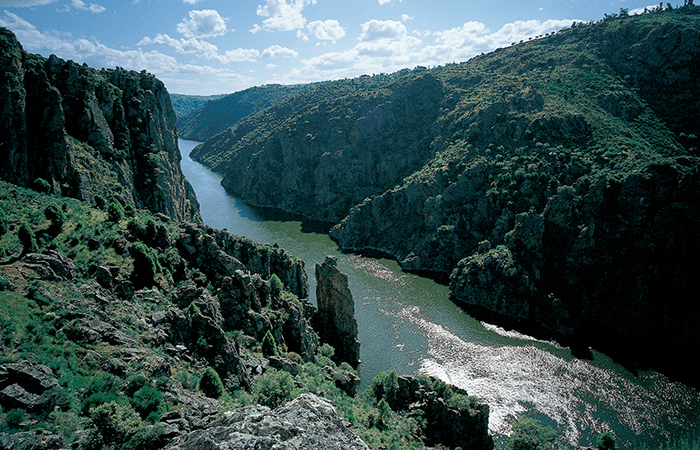 This spectacular river canyon carves its way between the Salamanca and Zamora provinces of Spain, running nearly 100 kilometers through the rugged terrain. The water is deep, which makes boating not only possible, but comfortable: scenic boating excursions float wide-eyed visitors from the Zamora-Miranda do Douro border through the soaring cliffs, and there are plenty of points of interest and traditional villages along the river to round out your day. This entire 15 kilometre section of river and fjord is a UNESCO heritage site, and all you need is one look to understand why. A deep blue ribbon slices through verdant green mountains, waterfalls tumbling over the top and viewpoints popping up past every bend. 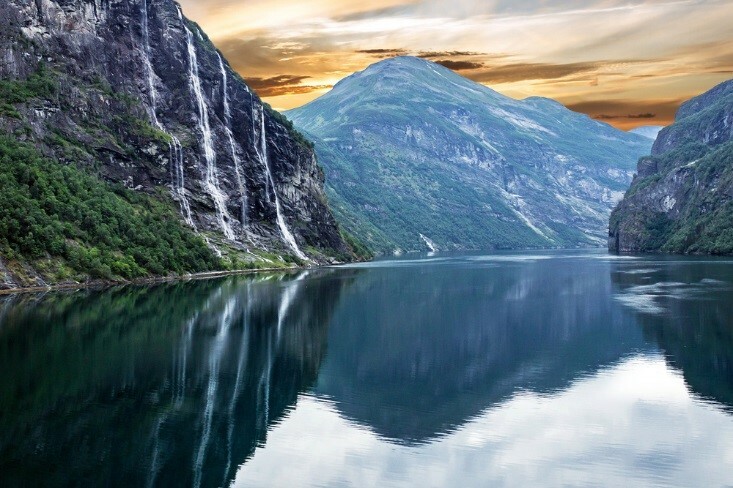 A boat tour is the very best way to see the most magnificent fjord in Norway – hop aboard a local ship and float down the river for an hour and a half well spent. This strait of the Narmada River translates to “Marble Rocks”, named for the rugged marble cliffs that line the banks of the inky water. 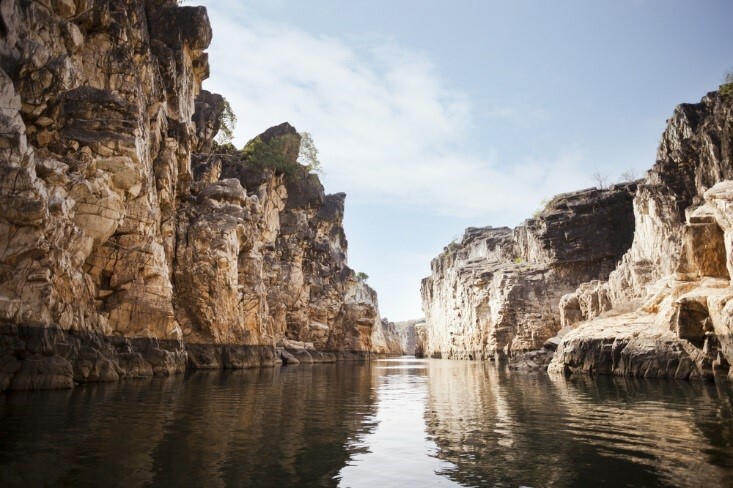 These cliffs have starred in numerous Hindi films, and taking a guided row boat down the river, you can learn why they’re so famous. June is a great time for the boat ride (before monsoon season starts), especially in the twilight, when the moon shines above the marble. 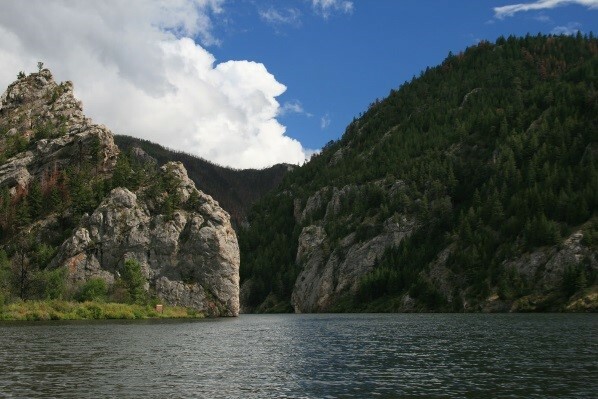 Since the first explorers blazed a trail through the Missouri wilderness, the Gates of the Mountains have drawn visitors down the pine-lined Missouri river. From far away, the two gigantic rocks look like they will barricade the mouth of the gorge, but they seem to drift apart as your boat moves closer. You can take one of three tour boats that drift down the winding river, and aside from the lush northern forest and clean, crisp water, you may see some wildlife along the way. 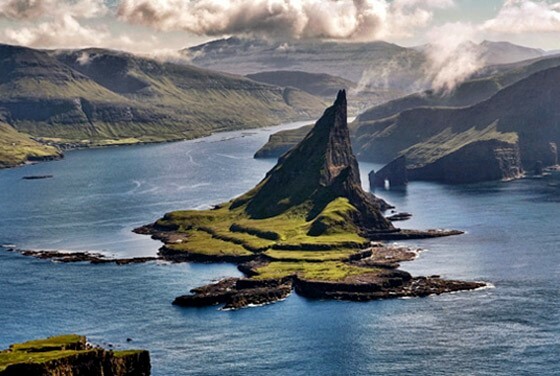 The mystical Faroe Islands sit between Iceland and Norway (though they technically belong to Denmark), and hold all of the northern mystique you’d expect from a Tolkien novel. Deep blue sea skirts the green mountains, and there are plenty of waterfalls and rivulets to explore by boat. Sea birds take over some of the steep cliffs and islands, while many others are tranquil and untouched. 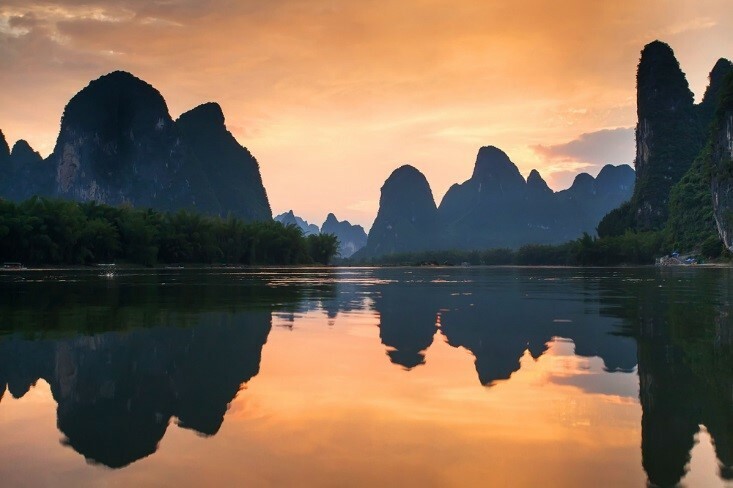 China’s Li River is a dreamy landscape if ever there was. Slowly drifting down the still water, rafts and ships move travelers through the misty mountains that line the water. It’s a major waterway, so expect a good amount of boats, but the renowned Li River cruise is worth your while if you want to experience the unique undulating landscape and glassy water of the Guangxi Zhuang region. 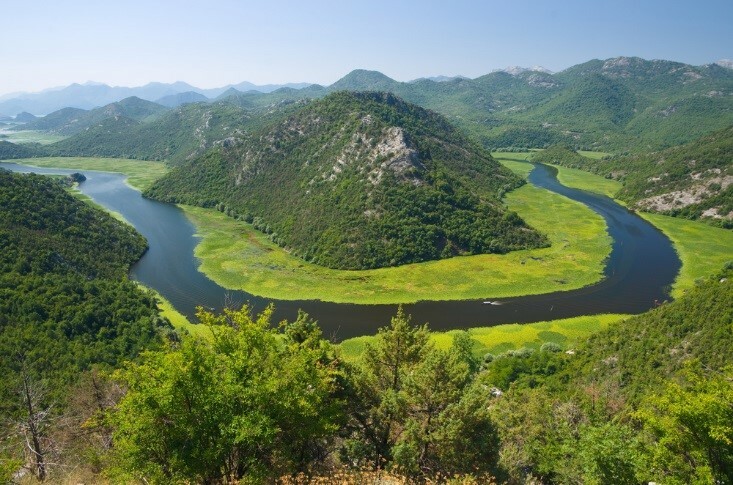 One of the most beautiful parts of Montenegro, the Crnojevića River bends around the hilly landscape and ends at the pretty village of Rijeka Crnojevića. You can drive through the region, but taking a boat from the lake down the river to the town promises a peaceful, thoughtful journey that will let you appreciate the quiet traditions and beauty around you. A pleasure boat cruise is only one way to experience the humbling mountains. If you’re up for a bit of adventure, consider a rafting trip: you can get into more pristine areas if you’re willing to fight a few rapids, and there’s no better way to feel the strength and power of river and mountain when they come together. Images: All photos have been taken from Shutterstock.com unless otherwise indicated.